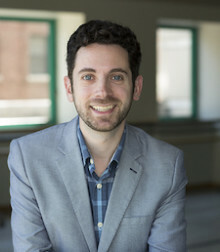 Nick Salvato is Professor and Chair of Performing and Media Arts at Cornell University. He is the author of the books Uncloseting Drama: American Modernism and Queer Performance (Yale UP, 2010), Knots Landing (Wayne State UP, TV Milestones series, 2015), and Obstruction (Duke UP, 2016). His articles have appeared in such venues as Critical Inquiry, Criticism, Discourse, Modern Drama, and Reading Modern Drama.